1 falling out of the pub of a sunday, with my dad and the cub, full of food and empty of conversation. a weekly tradition that just seems to feel even more comforting during the colder months. 2 evolving into my blanketed bee-rrito state for an entire season because everything is cold and my toes are blue and we don't have proper heating. 3 making new year plans...and the keeping of secrets that comes with it. should probably rename the word document on my desktop entitled 'secrets'. 4 emptying the coin jars around the house to scramble together some christmas dinner money. this year there will be six of us. 5 daydreaming about said christmas food and praying that we won't forget to put the pigs in blankets in the oven again or accidentally end up with three turkeys again. we tend to have sitcom worthy christmases. 6 forking out for the first chai latte of the season because it is joy in a takeaway cup and sometimes your joy depends on a creamy overpriced spiced coffee. 7 writing list upon list for everything imaginable and embracing being able to focus my thoughts on festive things instead of scary things beyond my control. 8 £4 cinema tickets at the weekend to see the latest blockbusters with dad. today, fantastic beasts and where to find them. 9 strictly, with snacks and the cub, on a saturday night. we both suddenly turn into dance experts. 10 the abundance of lowlighting for my little mole eyes instead of sharp bright lights. solidarity with my fellow goths. What do you like about autumn? Lists in the comments if you fancy it and I'll stop by for a visit. 1. Crunchy leaves and plenty of them! I love these bits! Wrapping up in a blankets with warm festive drinks and films after food with your family and friends is just priceless and so nice and cosy during Autumn. I can't wait to see Fantastic Beasts when I go home! I love having warm, flickery, festive-scented candles and fairy lights dotted around my room. I love the feeling of wrapping up warm and walking all day Christmas shopping with my mum then slumping down in a coffee shop to enjoy a warm drink and cake! 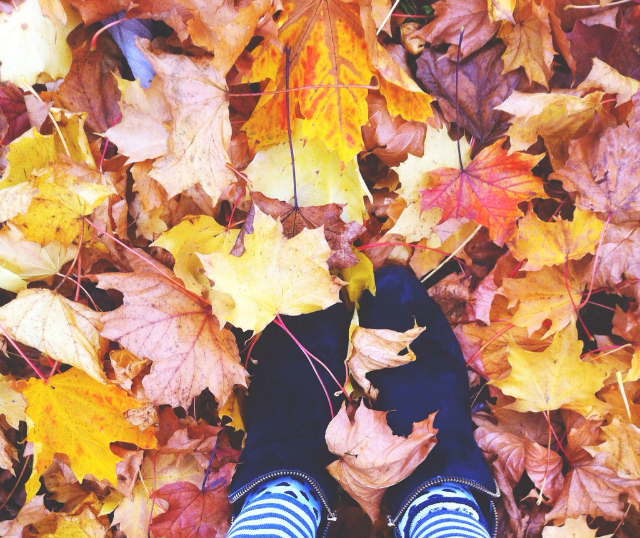 I also love chilly walks in the Autumn sunshine, crunchy coloured leaves and big blanket scarves! God I love Autumn! Reading this made me feel so cosy. I love having the excuse to have a PJ day or to venture out to a cafe. Sipping at a hazelnut hot chocolate and watching people bustling around outside sounds lovely right about now. Your Christmases sound epic. I'll most definitely be keeping my eyes peeled for tales from this years! !